Life is full of occasions that call for gifts, and Bed Bath & Beyond is the best destination for gift-givers. 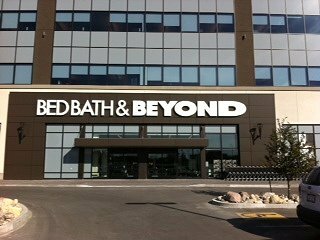 With an unparalleled selection of housewares, décor, baby items and much more, Bed Bath & Beyond is the gifts store for wedding and baby gifts, gifts for her, gifts for him, personalized gifts and housewarming gifts. The recent grad will thank you for a dorm room necessity, a new mover will appreciate something special for the new place, the hostess will be delighted with a thoughtful “thank you” present, and you will find a gift that perfectly suits the recipient at Bed Bath & Beyond. For newborns to newlyweds, Bed Bath & Beyond has the right gift, and when you need a great gift right now, you’ll never go wrong with a Bed Bath & Beyond gift card.